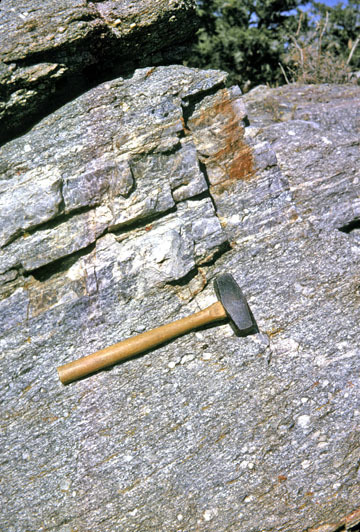 Left: Unbroken concordant contact between granite and country rocks (highlighted by light brown line) is well exposed and dips moderately left. ©A.G. Sylvester 1963. 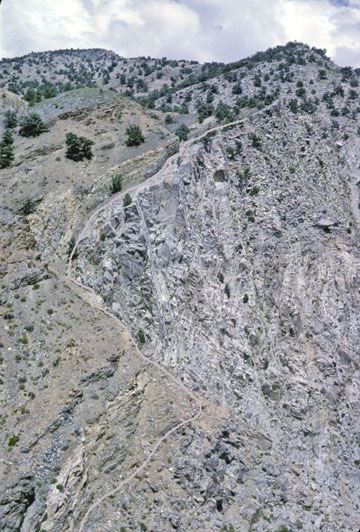 Right: Strongly foliated granite near contact at west end of Papoose Flat. Hammer is 38 cm-long. Quartzite sills are parallel to hammer handle. Large K-feldspar megacrysts are randomly oriented in the foliation. ©A.G. Sylvester, 1963. 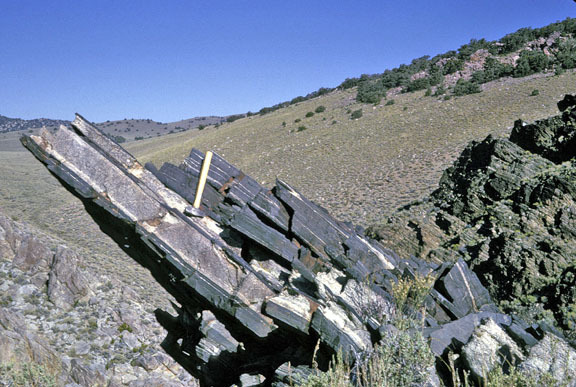 Strongly foliated granite sill in Campito quartz schist, exposed along north contact of west half of Papoose Flat pluton. ©A.G. Sylvester, 1963.